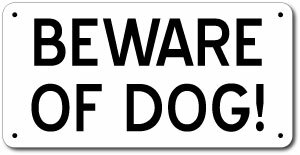 Beware Of Dog Sign will help your house secure and safe to aware that there is dog inside. This sign is made from .040 Aluminum Sign with Holes In Corners with Reflective Option. 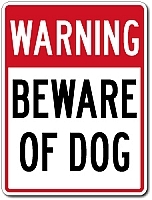 Put the public on notice with one of our Beware of Dog Signs. A sign is a great way of getting attention and letting someone know you have a dog on your premises.